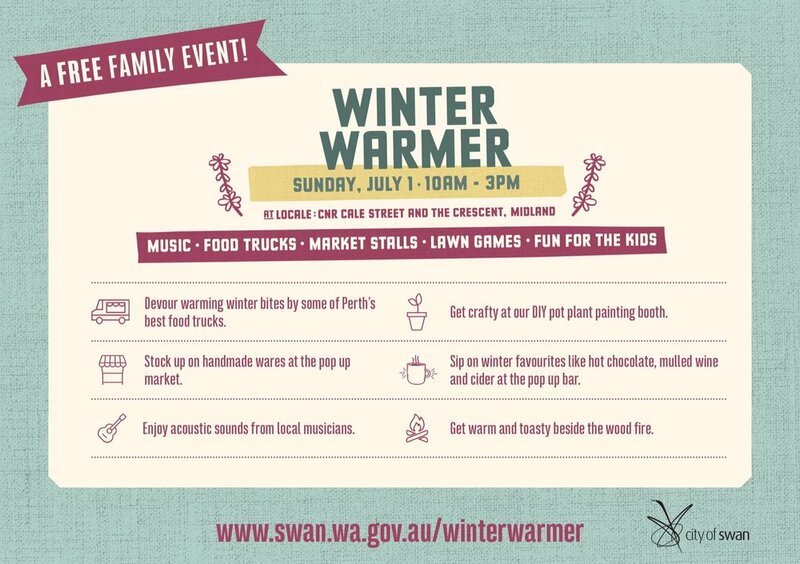 Rug up and welcome winter at our inaugural Winter Warmer at Locale on Sunday, July 1. Entry to the event is free and there is plenty of fun for every member of the family! Stock up on handmade wares at the pop up market. Enjoy acoustic sounds from local musicians. Test your skills with our vintage lawn games. Get crafty at our DIY pot plant painting booth. Sip on winter favourites like mulled wine and cider at the pop up bar. Stay toasty and warm by the wood fire. 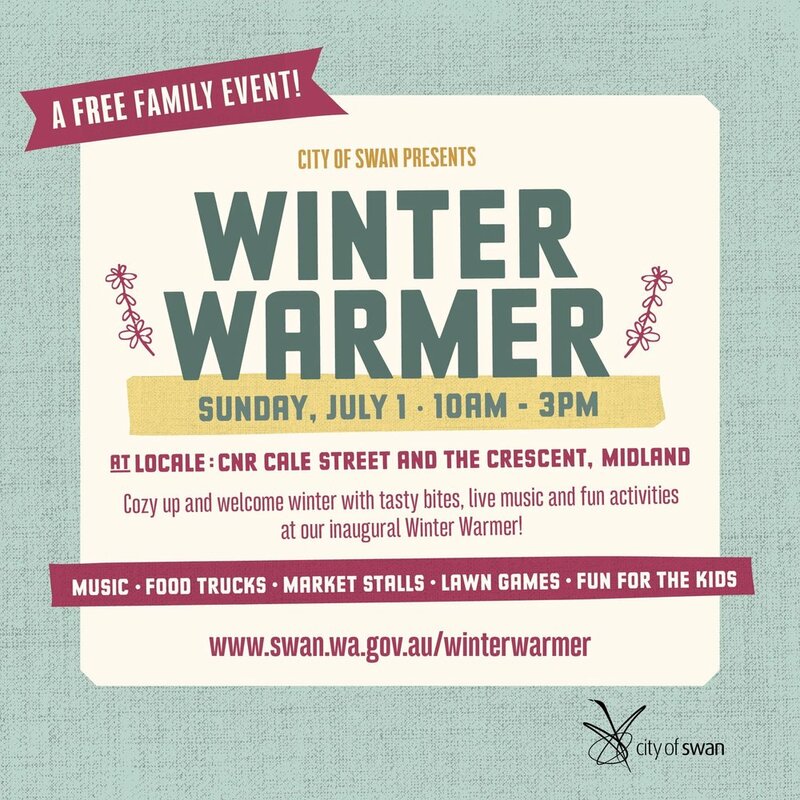 Head to the Locale event site, on the corner of Cale Street and The Crescent, Midland, between 10am and 3pm. More information at the City of Swan Events Facebook page.